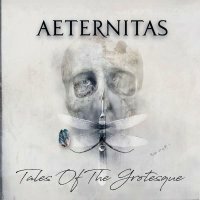 A couple of years ago, German "intellectual" metallers Aeternitas gave us 'House Of Usher', an album based on the short story by Edgar Allen Poe. They now return to complete their Poe fetish series with 'Tales Of The Grotesque', a collection of twelve tracks where each song is inspired by a poem from the classic author. It gives me a headache just thinking about it, but fortunately, the music is equal to the concept. Aeternitas start off with two pretty well-known tales, 'The Tell-Tale Heart' and 'The Raven'; it will come as no surprise to the poetically-inclined amongst you that 'The Raven' includes the word "Nevermore" in the chorus... I suppose you have to, don't you? Vocally, the band use the male and female system that works so well in other bands, although here, both singers actually sing rather than having the man shout (guitarist Alex Hunzinger provides some growling when needed). Julia Marou is the main focus and it's a good thing too, as she has a very nice voice that goes well with the Symphonic feel of the songs. Oliver Bandmann trades lines with her and also does the job well, although I must admit neither one really stands out as anything overtly special. Song-wise, 'Tales Of The Grotesque' is anything but, with plenty of smooth melodies balanced with crunchy guitars when the tale in question requires a bit more drama. When they are good, Aeternitas can give most bands of their genre a good run for their money, but it can be a little hard to get into some of the songs. This is a deep album that has a lot to offer to any potential listeners who have the patience to dig beneath the surface enjoyment and mine the poetical goodies hidden beneath. 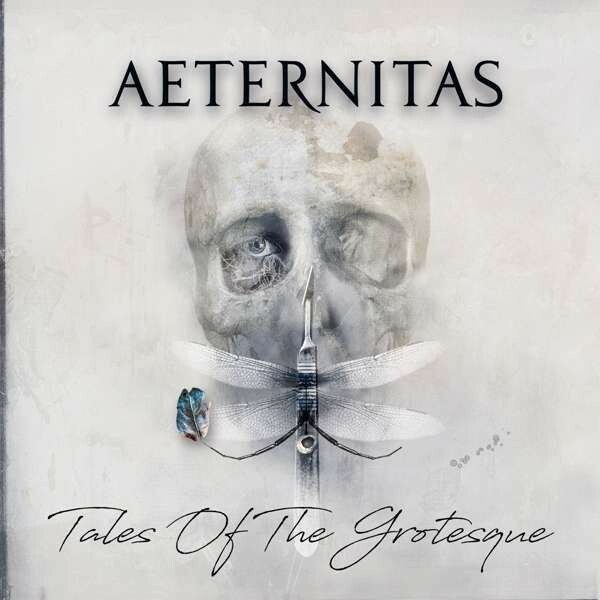 Melodic, powerful and orchestral without going overboard, Aeternitas has a lot to offer, especially if you like more than just a melody, a solo and a pretty voice.